India’s great Song of God is a dialogue between Lord Krishna Himself, having descended to earth, and Arjuna, a great warrior-king, on the eve of a fierce battle. Arjuna’s greatest enemy is himself as he faces across the battlefield many of his friends and family. Should he fight? Or should he not? The classic text discusses such areas as the relationship with God, detachment, and the path to enlightenment. 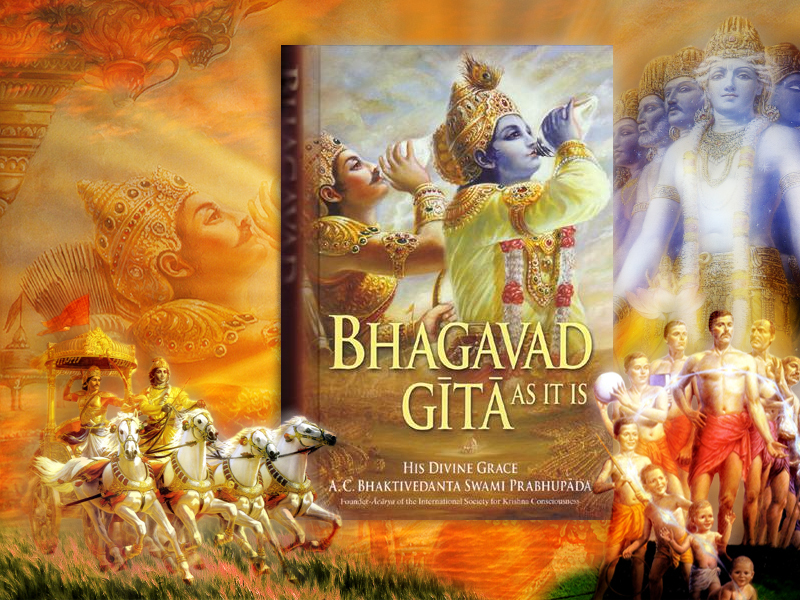 There are other scriptures we draw from, such as the Srimad Bhagavatam, but the Bhagavad-gita is the foundational. Click here to learn more about Vedic Texts. Posted in Steps to Involvement.